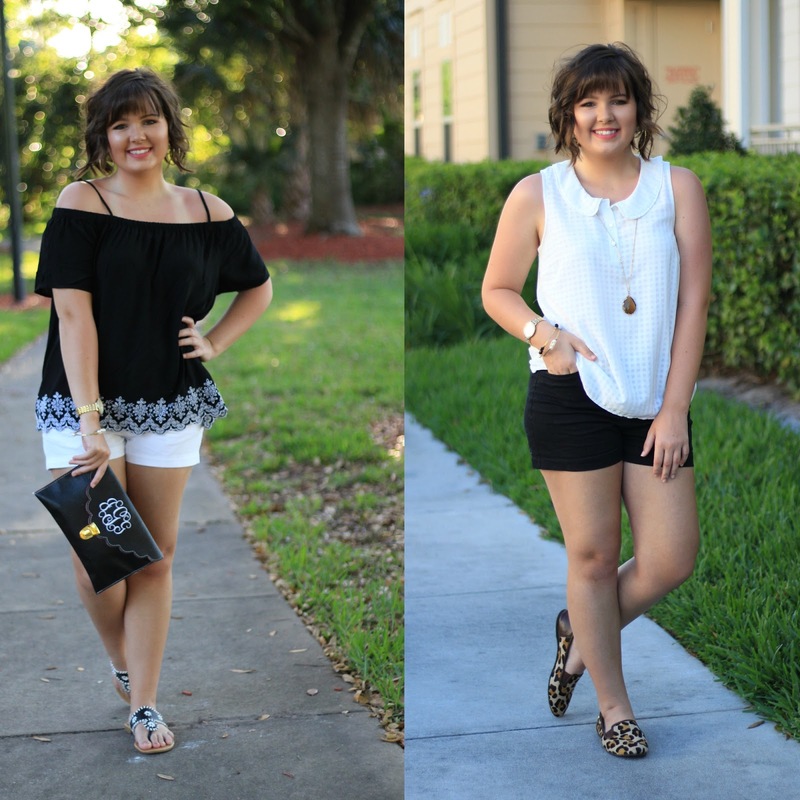 Juliana Grace Blog Space: Two Ways to Wear Black & White for Spring! Two Ways to Wear Black & White for Spring! Happy Monday everyone! Today is the start of my BIRTHDAY WEEK WHOOOP! This Thursday I become an official adult :(((((( Oh no!! I am very excited for a relaxing day of no work or school and celebrating with family. Today I am sharing two spring looks that both incorporate black and white in a fun way for warmer weather coming our way. It already feels like summer here in Florida. Both of these looks are so cute and trendy. I will of course have links for you to shop both of these outfits. Enjoy! I about flipped over this Old Navy top (which is now on sale for only 18$)!! It is so trendy and classy at the same time. I love the off the shoulder trend but sometimes find pieces to be uncomfortable and tight around my shoulders. I hate not being able to move and be comfy. This shirt is super flexible and allows you to move like usual while still being caauuute! Not to mention the black and white combo always works nicely with a tan come summer! The obvious star of this outfit is the LEOPARD SHOES!! I found these brand new Michael Kors flats at Style Encore which I gushed about (in this blog post) Friday, for only 30$. Heck.to.the.YES! They are so comfy for flats and can spice up the most neutral of outfits. This look was a challenge because I had to mix black and brown which is sometimes tricky but I found that the brown necklace and black and brown purse tied it together nicely. GIMME ALL THE LEOPARD! 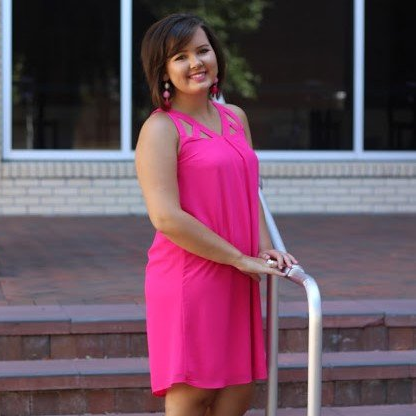 I hope you recieved some great ideas for your Spring and Summer wardrobe! Black and white are such classic peices that never go out of style! Have a great start to your week. I will talk to you soon!